Background: The report below is for a LASIK and cataract surgeon from the east coast of Florida. 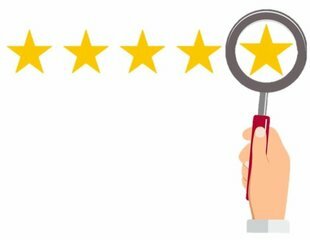 Like many surgeons or dentists, he had only about 20 reviews spread across a number of reviews sites. Solution: The practice implemented the Ceatus reviews strategy. The results are shown below. In the space of 6 or 7 months, the average online score improved from a dismal C+ (3.5 star rating) to an A (4.6 star rating). The number of online reviews also increased fourfold (from 20 to 80). The surgeon experienced a significant increase in revenue from the same quarter the previous year. Bottom Line: Reviews do equal Revenue!! This is not a Trick, it’s a TREAT! !